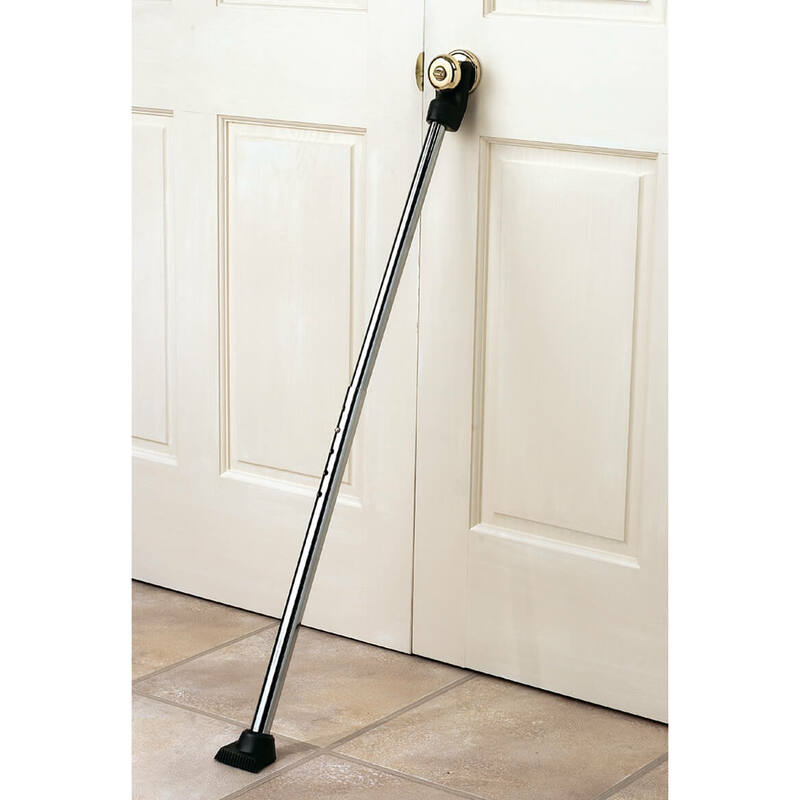 I bought this product for my front door and after I received it, I discovered my doorknob is higher than standard so the security bar doesn't fit! I can use it on my other doors though and since I'm replacing my front door, I'll make sure it has a doorknob a little lower so that the door security bar fits! Other than that, it's simple to put together and looks like it will work great for me! This door brace is a fabulous value. Easy to use, and really works! Light weight and collapsible for easy storage. I had purchased two of these security bars several years ago for myself. I was so pleased with them that I have purchased four more for my children and grandchildren. Better safe than sorry is my thinking. Would recommend them to anyone concerned about their security. I use this as a security bar in my sliding glass door to the patio. It's not beautiful, but it functions effectively. We needed to secure a door that didn't have a dead bolt lock on it, this was exactly what we needed and it works perfectly! Someone tried to kick down my back door, and I really believe the door bar prevented the door from opening. I have one for EVERY room in my home, and I feel more secure when I use them, especially at night while sleeping. I take some with me on trips to use in hotel rooms and at other people's homes. Also, they make great Christmas gifts! I found this security bar easy to put together and then put it on the door. It works much better than putting a chair under the door knob. Perfect to travel with to use at a hotel. duct and this site. Works great. Glad I found it on Miles Kimball site. Great price. Would highly recommend this product and this site. This is a substantial security item that truly makes you feel safe. Thanks you MK for providing an excellent product. I do feel pretty comfortable wen I'm napping!! I use it for the purpose it is intended for...protection N!! !, if someone is univited that happens to inside my residence. Again!!! it will be used as "protection". 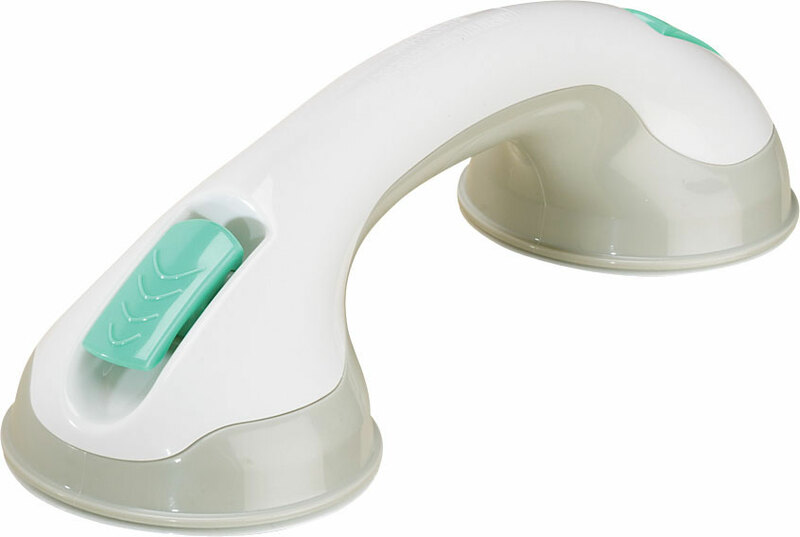 I love this product its is the best buy i could ever investment. The reason why. I order three of these product was to give one to my future mother in law, and she loves it and she even said that she feels a whole lot safer with the door security product. I use this product for safety. The door security bar is great. It could have been about 2 inches longer as we have unusually high doors so my husband had to extend it to its fullest and put a screw in it to make it strong enough. It works great now. I know it was made for standard doors but ours is 10 ft so the adjustment wasn't quite enough but fortunately I have a husband that can usually figure out what to do. 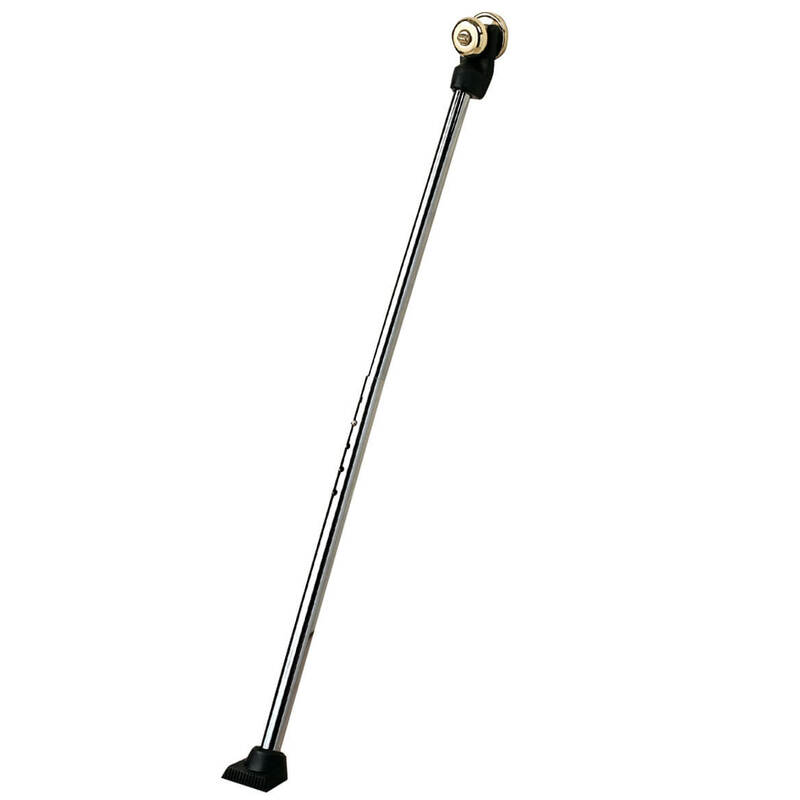 I use the door security pole as extra protection and peace of mind on my entry door. It holds tightly, very secure. If I travel, I'll be taking it with me to use on hotel doors, etc. Wonderful invention! This is a great product to add to your security to your home. That extra protection at night and to other doors while your gone that aren't being used. Feel better about the door being more secure. Able to sleep at night! My mother lives alone and now that she has a door security bar, she feels safer at night and I am able to sleep better knowing that she is safely secure in her apartment. I take this item with me when I am traveling alone for extra security at hotels.It makes me feel totally safe. Use this as security for my cellar door. Already have one, and use it whenever I go on Vacation. I got this one for my daughter. These security bars are very reliable. I am ordering this second ones for my Cousin. WORKS GREAT. DOES A GOOD JOB. I FEEL MORE SECURE AT NIGHT WITH THIS BAR ON MY DOORS! I GOT ONE FOR EACH DOOR! More protection for door. Very sturdy. Find no fault. Kid Friendly and Mother Approved! Excellent at keeping things out! I have been in search of this product for years and finally I have found it again. Thank you so much Walter Drake, for keeping me and my people secure in our home. It has been tested by the best and stands tall above all the rest! What a great purchase. I definitely will be shopping with this company again in the near future, and I recommend their store, to all my family and friends. Thank you. I have had no issues with mine(2) and I use them during the day and night. They were easy to adjust to the proper height and my body building friend could not push the door open. Look at the measurements of the item to ensure that it will fit from under you door handle to the floor. Naturally, if something doesn't fit correctly, it is not going to work. I live in an apartment complex with no deadbolt and these add security and peace of mind. I use one on the front door and the other on the patio door. My floors are linoleum and somewhat slick. They are tight and there is no slippage. My only concern is after long periods of use that the plastic that fits around the door handle might break. The manufacturers could use another material; however, right now, I am very happy. They are so affordable, I will just buy more if they break. I'm glad I didn't take the advice of the negative posts. I surmise they weren't installed properly. One has to set the item(s) to the correct height. That was not difficult at all. I have recommended to friends who have already made a purchase and are satisfied. It works great and we are very glad we ordered this. This product is for extra peace of mind for safety reasons in your home. My neighborhood is pretty safe and my home security is good (famous last words! )so generally I only use them on two occasions, the first being hotel/motel security on road trips. We live on the MS Gulf Coast. New house (built after Katrina)has three entrances, all double doors with high impact glass. But two of them open inward so have little resistance to hurricane force winds. In addition to other locking devices we put the security bars on those two and exit via the other doors for evacuation. The bars give significant added support that could only be surpassed with much more expensive, involved and time-cosuming options. Will it be enough? We'll see. My sister had this same security bar and let me use hers for awhile. It really works, so I wanted my own. Thanks for having this. I LOVE THIS DOOR SECURITY BAR. I REALLY FEEL SAFE AND I SLEEP SO MUCH BETTER KNOWING THAT NO ONE CAN GET IN. THANK YOU. I would definitely recommend this product. Great item. The security pole is a good way to be able to feel secure & safe without the high cost of a home alarm. do to recent thefts in our neighborhood, I felt the need for a little more protection for my family. These door security bars work great and has made my family much more comfortable. This product seems to be just what I need for additional peace of mind when strangers come knocking over night. I ordered this item for extra security and the price is very reasonable compared to other retailers. Thought I might need one. For security in my home. Safety, It is a very good device against someone trying to push your door open ! ! ! WE JUST BOUGHT NEW PLACE AND NEEDED EXTRA SECURITY. ALSO GOT ONE FOR A COUSIN. The price and the positive reviews. Security they work great and the price is great!! Need to have some security on the front door. For added protection at our door. I already have 3 of these, and they work extremely well. this was the least expensive price I could find + I used the $10.00 promotion code! Great Deal!!!! My sister-in-law moved into a small house by herself and she uses a chair to secure her front door at night and I thought this would be easier for her to use. This item is great. I have given as gifts to women living alone. We all have loved the security it offers. I live alone and this makes me feel safer. Daughter moved into a college dorm for freshman year. Protection. Have used one in the pass & found reliable. Locks a door without installing anything. Can lock different doors. I already own one of these and it is great. I feel secure and have peace of mind every time I use this. Super easy to use. I came back to order one more for myself and two for a friend. After she saw mine, she wanted it too. Thank you for a great product and best pricing on the web that I could find! Shipping is very reasonable. Have one and want these for other doors. Piece of mind in uncertain times. BEST ANSWER: The security bar works on cement (garage door) and linoleum (kitchen area) floors, but it did NOT work well on a throw rug. Reading one of the other comments, I noticed someone wrote that it worked on hotel room doors, so it would follow that the door leading into the room is wall-to-wall carpet. Therefore, it would appear that the security bar would work on home carpeting. Yes. It works best on carpet. I recommend this door security bar. Can this work on any type of door handle? We don’t have a knob but a fancier handle (don’t know how to describe it!) it’s like a bar type handle. BEST ANSWER: Thank you for your question. 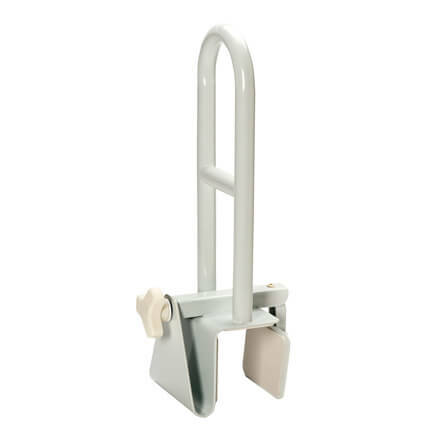 As long as the bar can properly stay under the handle and in place it will work. It should be able to work as long as the handle is not in the way. We hope this information will be of help to you. Would this work for a sliding glass door? If you laid it down in the tracks of the slider? BEST ANSWER: Its designed to brace against a door handle. I guess you could if the ends brace against the door and the frame. I wouldn't buy this for that however. This device is to be used under the door handle. However you can also lay it down in the runner slot. It should hold the door from opening. Probably, but be aware both rubber ends have a bit of an angle to them to accommodate the angle of a door knob to the floor. Not exactly, I have tried and when I placed the bar it leaves a gap between the bar and the glass door. I don't think it would. It is actually the doorknob that secures it to the floor and makes it work. Great idea but it's too long to lay flat. However, if could be angled as a wedge. Possibly, but it wasn't designed for that and I think it would be too tall/long. Yes I beleave it would. I do not think it will. Would this keep a toddler from opening the door and going out? Landlord will not allow anything to be attached to the door or frame. BEST ANSWER: well I don't have any little ones, but I could tell you if you secure the bar right I don't think he or she could move it good luck worth a try!!!! I think it will keep a toddler from opening a door. It must be secured in place braced tightly under the door handle and floor. is this the one that has the vicious barking dog or the ear piercing alarm sound? and if so, how loud are they? BEST ANSWER: Thank you for your question. It is a door security bar there is not an alarm built into it. We hope this information will be of help to you.